What are some of the best #OpenStreets programs in the country? Street Plans Principal Mike Lydon shares a few ideas with USA Today here! In partnership with ioby, the City of Norfolk, and AMEC Foster Wheeler, Street Plans conducted a hands-on, one-day workshop on Saturday, June 4 with 50 neighborhood leaders from the Neon District, and the Ghent and Chesterfield neighborhoods of Norfolk, VA. The workshop demonstrated how property owners, both business and residential, can help alleviate rainwater flooding in the city by building small flood mitigation projects to hold water on their property, thereby slowing down rain runoff and preventing flooding. Watch this video to see Norfolk’s “Retain Your Rain” workshop in action! 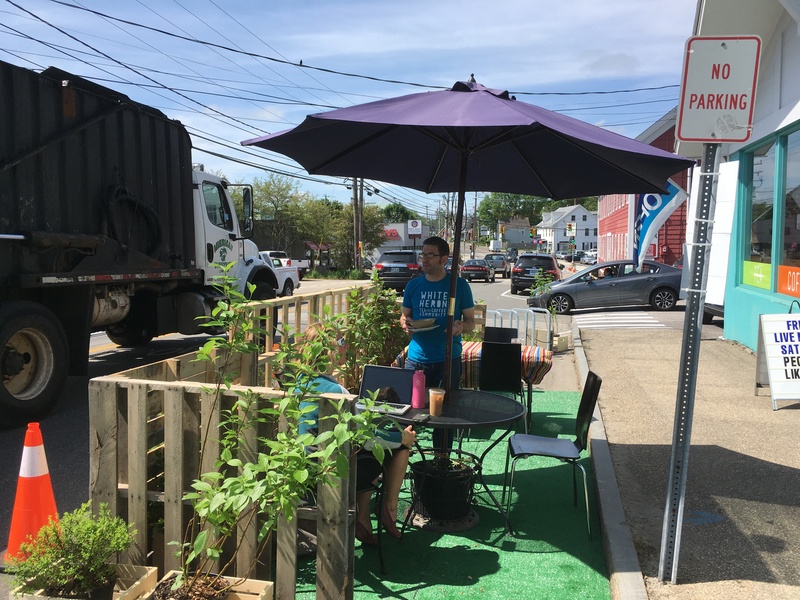 On Thursday, June 2, Mike Lydon led a demonstration project at the intersection of Islington and Bartlett Streets in Portsmouth, complete with new plants, parking spaces, crosswalks, a curb extension, and a parklet. 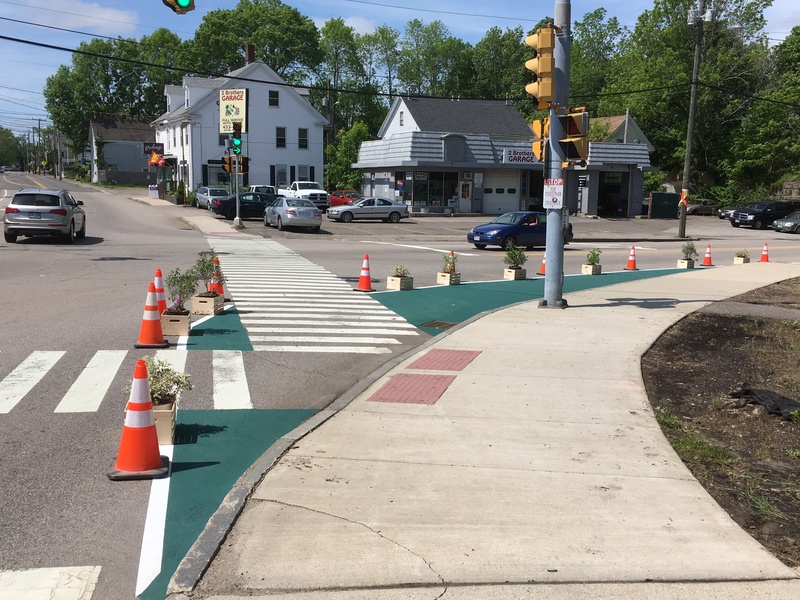 The project provided an opportunity for 20 volunteers to temporarily transform an unsafe intersection, demonstrating possibilities for a safer and more desirable pedestrian environment, with slower traffic and enhanced public space. The project was accomplished with a budget under $2,000, including the police detail for set-up and take-down, further emphasizing how providing people with low-cost experiences could lead to potential long-term change. Read the news article here .